Finally!! The Bitstrips site is back up and running. I tried the Facebook app and it has very limited capabilities, so I’d never be able to do what I can with the original website. Here’s today’s NEW comic strip. It’s a little tongue-in-cheek because I never thought ahead to what clever pun I would make once things were back to normal. So, thank you for your patience and support, and I’m sorry for the lame punchline. 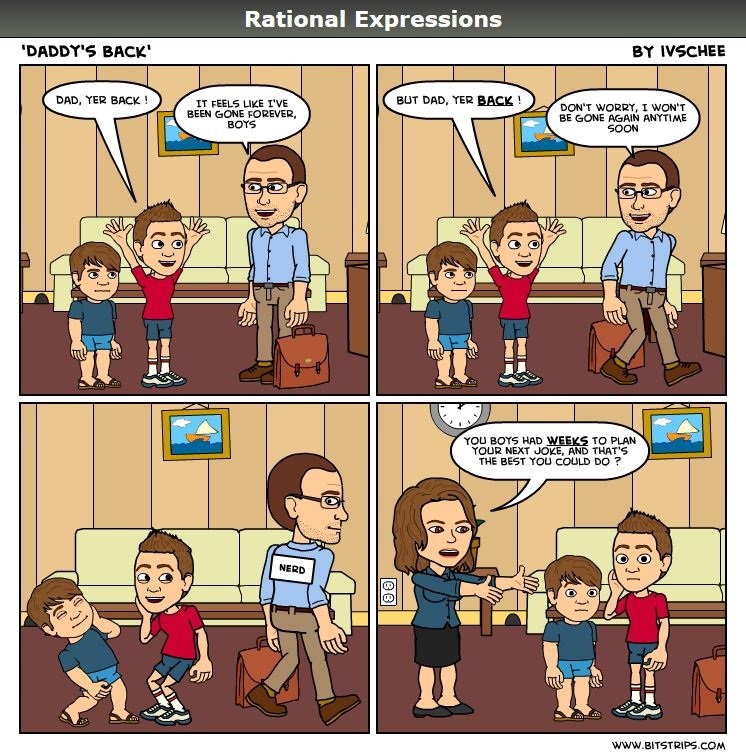 Posted on December 2, 2013, in Rational Expressions - A Comic Strip. Bookmark the permalink. Leave a comment.